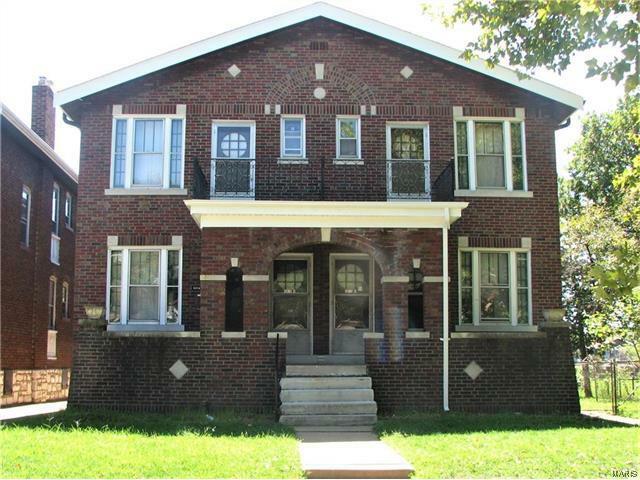 GREAT INVESTMENT OPPORTUNITY IN SOUTH CITY! Full Brick 4-Family all 1 bdrm./1 Bth. units with CENTRAL A/C. NEW Front porch and all 4 back sunporches. Chimney tuck pointed 2014, New Hot Water Heater 2014. Property is located right next to Amberg Park. Stained glass windows, Natural woodwork, historic charm are just a few reasons this property won't last long. 1 unit is Section 8 guaranteed rent, 2 units have long term tenants, 1 unit is recently vacant. All hardwood floors under carpeting. Property is being offered as-is. Seller will do no inspections or repairs. Don't miss your chance!